Join University Housing Culinary & Nutrition Services in their collaboration with the SIU Sustainability Office, the SIU Department of Animals Science, Food & Nutrition, and the SIU Fermentation Science Institute for the 2019 Spring Farm to Fork Dinner! Enjoy a four-course dinner, with opitonal beer and wine pairings, all from local producers and brewers and prepared by Chef Sean Eberly and staff. Tickets are available on March 25. Did you miss our February 28th event? It included a series of interactive and educational stations and helped our community understand that Sustainable Development transforms lives, economies, and our planet. If so, we'll post a link to photos and other info from the event here in the next few weeks. The event was a collaborative initiative of the following stakeholders: SIU Sustainability, SIU United Nations Association Registered Student Organization, and the United Nations Association of the USA Southern Illinois Chapter. Additional information can be found here! We are proud to have received a Silver rating on our 2016 STARS report (Sustainability Tracking, Assessment & Rating System). STARS is a transparent, self-reporting framework for colleges and universities to measure their sustainability performance! Did you know that you can contribute to our ratings? Read more here. Learn about clean energy and climate challenges that lie ahead. The Energy Forum, held in early November, featured keynote presentation with Justin Schoof entitled "Understanding the IPCC Special Report on Global Warming of 1.5%C." If you missed the event, you can catch up on the information by watching the taped version! Want to help us take action? 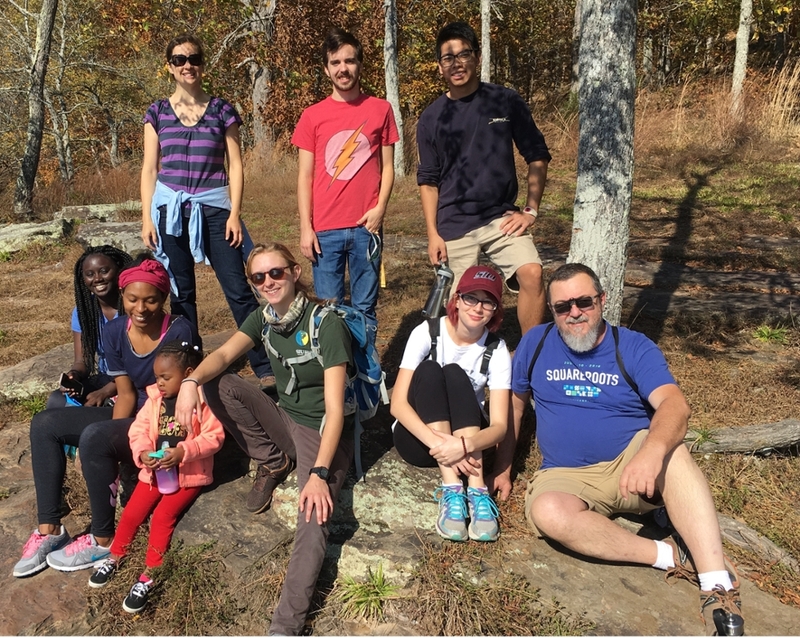 Joining a sustainability working group is one of many campus options. Our Vision: We envision a community that embodies ethical and sustainable actions in everyday decision making. By inspiring innovative solutions and encouraging cross-functional collaboration, we strive to create a model campus environment that engages students and community members in sustainable lifestyles. We guide our campus members to be responsible citizens who positively impact a global community through local actions. The Saluki Green Action team is made up of students, faculty and staff of SIU, as well as community members who are committed to helping make our community more sustainable, starting with energy and water conservation. Our team members educate themselves and their peers by taking simple actions and developing habits that make a big difference. 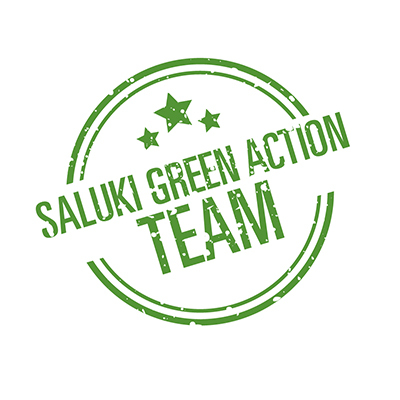 Join SGAT to receive our weekly Action Posts and monthly Sustainable Salukis Newsletter! RSOs that promote sustainability-related values and the appreciation of Southern Illinois are included here. Want to educate your students or office team about sustainability? Find more information here. Click here to find out more ways to get involved. 1 - Earth Month begins! 1 - Bike Month begins! May Move-out - Give Before You Go!